Deformities in wings, unable to fly since born. Brizo was found in the wild sitting below her nest unable to fly and scavenging fish from the ground. 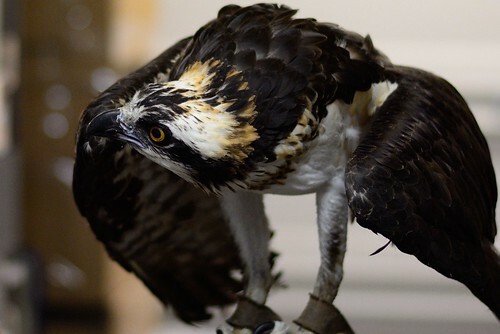 Upon further research via xray, it was discovered that she had deformities throughout her wings that could either be from injury or that she was born with them. 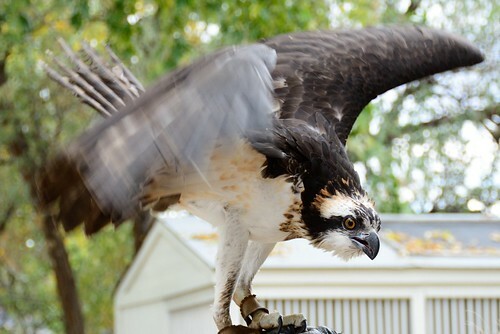 She went through two rehab facilities and a falconer to try and get her to fly. Her wings just do not work correctly and she has no lift at all. 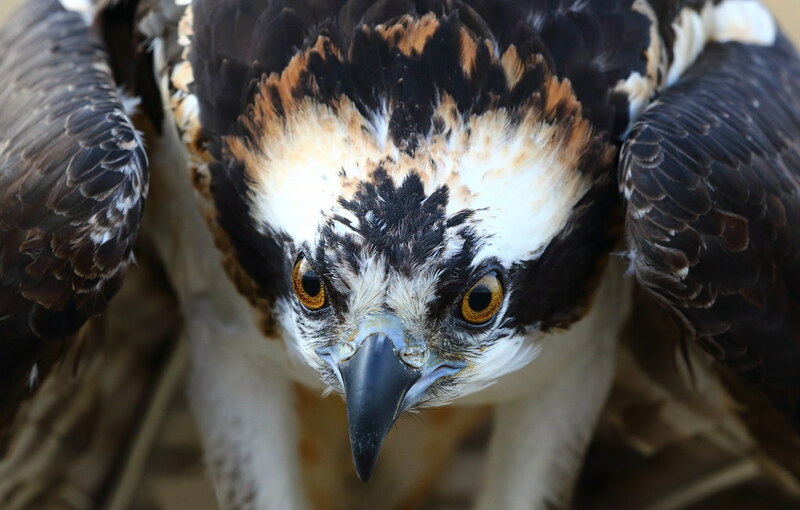 Although some Osprey do not do well in captivity, Brizo is a calm bird due to the fact that she was around humans at such a young age. She is not stressed at our facility and does extremely well on the glove. She was evaluated for 6 months before being placed at our facility. She is evaluated by raptor veterinarians frequently and she is healthy. 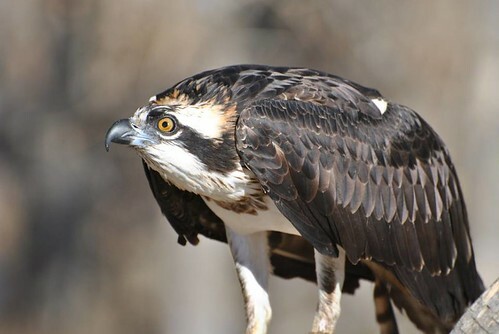 She has gained weight since becoming an education bird and is up to 4 pounds which is average for a female Osprey. Nature's Educators will mimic her diet in the wild by exclusively feeding her fish.